Come in and visit us for all your DANCE, FIGURE SKATING AND GYMNASTICS needs! Proudly distributing leading manufactures including: Bloch, Capezio, Mondor, So Dansa, Angelo Luzio, Body Wrappers, Sansha, Motionwear. Royal Academy approved! 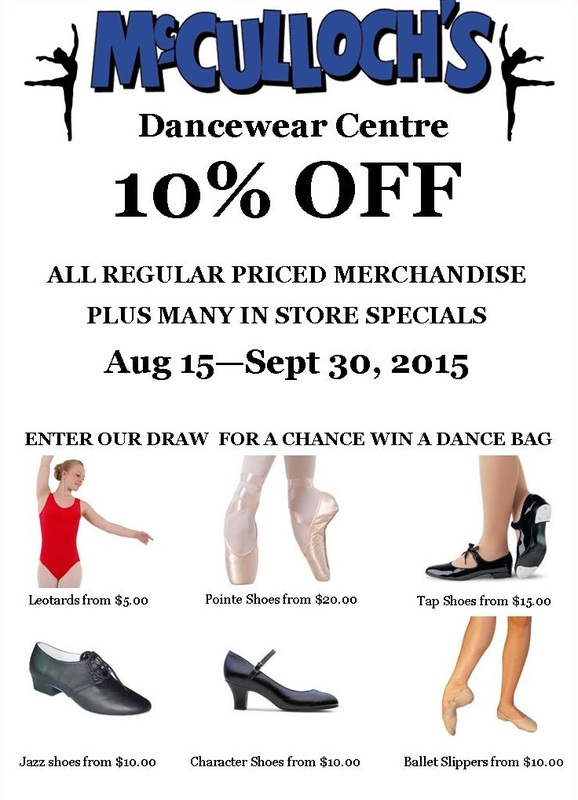 All regular priced merchandise 10% off! Gymnastic suits and biketards for your little ones 10% off!! This is a once a year sale you definitely don’t want to miss! !